and Vovinam martial arts to the international community. The festival will feature 20 different styles of martial arts performed by nearly 300 artists from across the world, including ASEAN countries, China, the Republic of Korea, Japan, Uzbekistan, India, Russia, France, Sudan, South Africa, Canada, and Brazil. The event is one of many activities designed to strengthen the ASEAN Community by the end of this year, with socio-culture as one of the three pillars of the initiative. The opening ceremony will take place on April 20, and the event will last four days, closing on April 23. 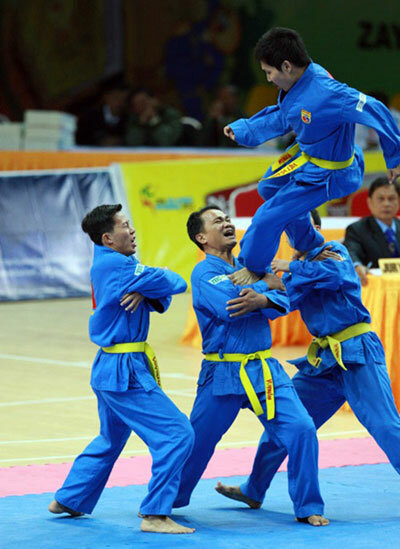 The competition, hosted for the first time in Vietnam by the General Department of Sports and Physical Training, the World Martial Arts Union (WoMAU) and the municipal People’s Committee, is expected to become a biennial event.